One night in Bangkok.....: I Miss Gyros! 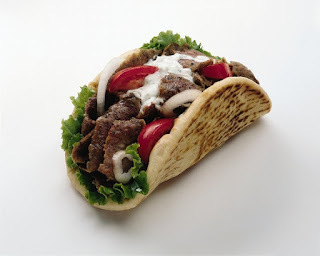 One of the foods I miss most from the good old USA are Gyros. There were several places to get good ones in St. Louis, but I enjoyed them the most at the vendors that would set up during holiday celebrations. Every 4th of July, Octoberfest, etc, there were always Gyro stands around. They are easy to make, and I can get everything here, but they just don't taste the same. Besides, other than talking about Gyros, it's really hard to work the word "tzatziki" into a conversation. Here is a search results for a bunch of easy Gyro recipes. Superbowl 51 Was a Hoot!